Part essay collection, part shadow-play, part macabre ballet, Satan the Waster: A Philosophic War Trilogy (1920) is one of Vernon Lee’s most political and experimental works. Amanda Gagel explores this modernist masterpiece which lays siege to the patriotism plaguing Europe and offers a vision for its possible pacifist future. Detail from John Singer Sargent’s portrait of Vernon Lee, 1881 — Source. So spoke a fairy bestowing a gift upon an infant Vernon Lee in a short story published in the Atlantic Monthly in 1915. The tale, resembling that of Sleeping Beauty, describes a group of fairies attending Lee’s christening. Each is the personification of a country from which Lee can trace her lineage and upbringing (England, France, Germany, Italy, Russia, and Poland), and each gives her a gift from their culture. Although most are good fairies, one is evil (we are not told which country this fairy represents) and condemns Lee to a life in which she will never fully belong to one nation over another. However, one of the good fairies has yet to give her a gift; she lessens the severity of the curse by issuing the blessing above. In a neat nine paragraphs, Lee gives a synopsis of her multi-national identity and declares that this status keeps her free from being engulfed by the “fratricide fumes” of World War I. Cover to Vernon Lee’s The Ballet of the Nations (1915), illustrated by Maxwell Armfield — Source. 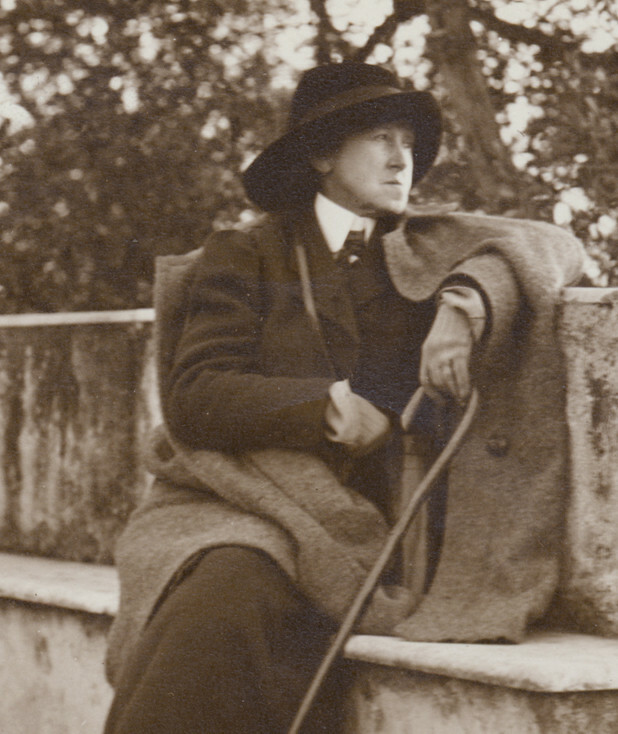 Lee was visiting England when war was declared and was unable to return to her home, Il Palmerino, a villa outside Florence, until 1919. During those years she tried to mitigate the pro-war sentiments of her fellow Brits, and her letters and articles show that she was unwilling to compromise her beliefs in order to maintain what were long-standing friendships with those supportive of the war. She produced a flurry of polemical writings, mostly as articles and letters-to-the-editor in the Nation and the Labour Leader and in pamphlets for the Union of Democratic Control, of which she was one of the earliest members. Satan the Waster is, however, the most comprehensive, creative, and compelling of all her wartime writing. It is a remarkable work and a truly modern amalgamation of texts: a shadow play in prose (intended to be read aloud and not performed), philosophical essays, and a personal memoir in which Lee investigates her innate psychology as a self-described “neutral”. Lee spends pages explaining how she has attempted to empathize (empathy and emotive understanding are central tenets in Lee’s analytical process) with her pro-war friends and insists that she understands why she disgusts them. Nevertheless, she holds fast that she is able to see what they cannot, and the writing of her play was her way of communicating her vision. Lee wrote Satan the Waster over the course of six years, from 1914 to 1920. 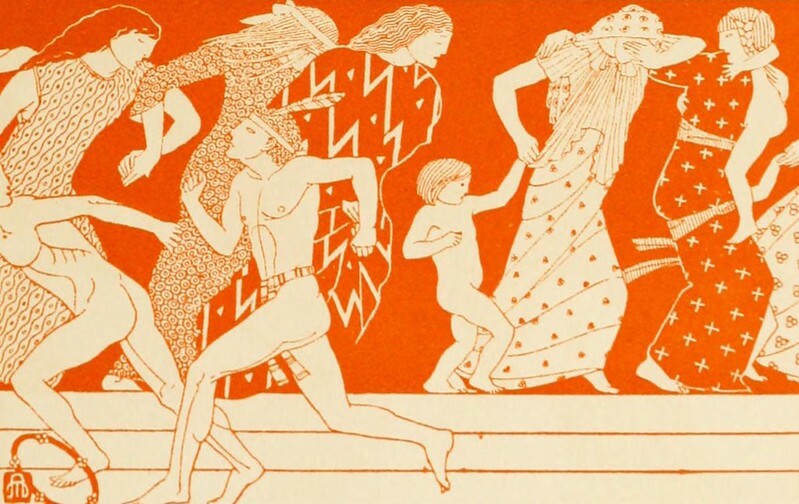 The central action, the “Ballet of Nations”, was published in 1915 with illustrations by painter, illustrator, and decorative artist Maxwell Armfield (1881-1972). One could consider this an early draft of Satan.3 Armfield and his wife and collaborator Constance Smedley had met Lee a number of times in Florence over the years and renewed their acquaintance with her in London in 1914.4 Armfield and Smedley were very much involved in avant-garde theatre productions in London. They were also dedicated pacifists, and they invited Lee to give a reading of the Ballet of Nations at their studio in 1915, one of the few “performances” of the piece. A second one occurred soon after at the Margaret Morris theatre and publishers attended. Upon hearing it, Chatto and Windus offered to publish it accompanied by Armfield’s “pictorial commentary”, as he termed it. 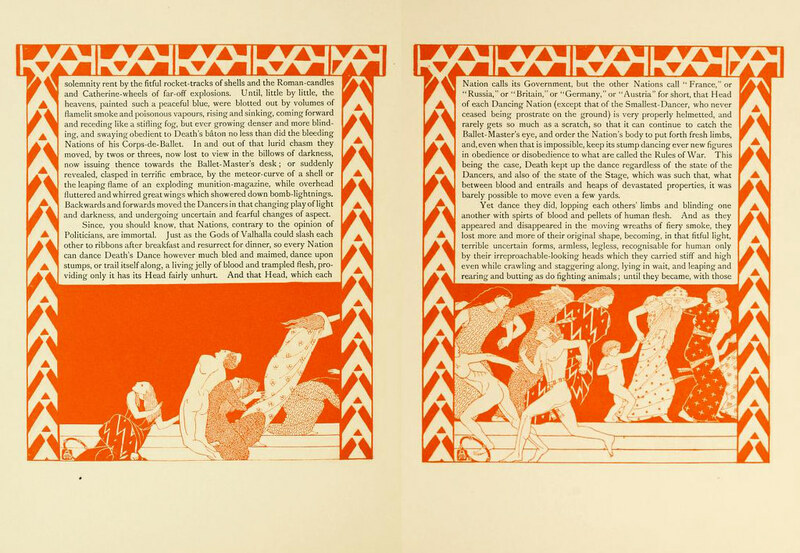 Pages 13 and 14 from Vernon Lee’s The Ballet of the Nations (1915), illustrated by Maxwell Armfield — Source. In its initial 1914 composition and even more so in the 1920 revision, the Ballet is written in imitation of a medieval masque, a dramatic form which Lee had studied since her early career when she traced the origins and dramatic conventions of the Italian commedia dell’arte in Studies of the Eighteenth Century in Italy (1880) and in Euphorion (1884). Generic characteristics of a masque consist of the actors playing mythical or allegorical figures and the central action being a dance or ballet. The dialogue was usually sparse and always of secondary importance to the music, scenery, mechanical effects, and the dance. Her reimagining of it as an anti-war drama in prose is groundbreaking given her focus on the color, movement, sound, and shape of the primary players and the minimalist scenery. The twentieth-century reader could only imagine what a medieval masque looked like based on centuries’ old descriptions. Similarly, while reading (not viewing) Lee’s play, the reader is forced to imagine the drama, just as one would a medieval masque. In the Ballet, the warring nations participate in a macabre death or battle performance to an orchestra comprised of the Human Passions. Lee describes a visually stimulating tableau, with some scenes purposefully evocative of fine works of art. The Prologue opens with a description of Satan awaiting the beginning of the Ballet. “He is seated at one end of a long Empire sofa, very much in the pose of one of Michelangelo’s Medici Dukes, resting one arm on his knee and his chin on his hand, deep in weary and mysterious meditation.”9 Lee uses color, sound, and light to describe the eerie luminescence and seductiveness of Satan and his nephew Ballet Master Death. As the Ballet is about to begin: “The place, which, with the earthquake, had become suddenly dark, is lit by the sinister luminousness emanating from Satan’s archangelic person, until the whole is suffused with a strange and ominous light as if in a fog, in which near objects are oddly visible and others shade away in nothingness.”10 These imagined, though nonetheless arresting, sets make for a highly evocative modernist work that encourages the reader to experience this war drama as a deeply emotional experience. 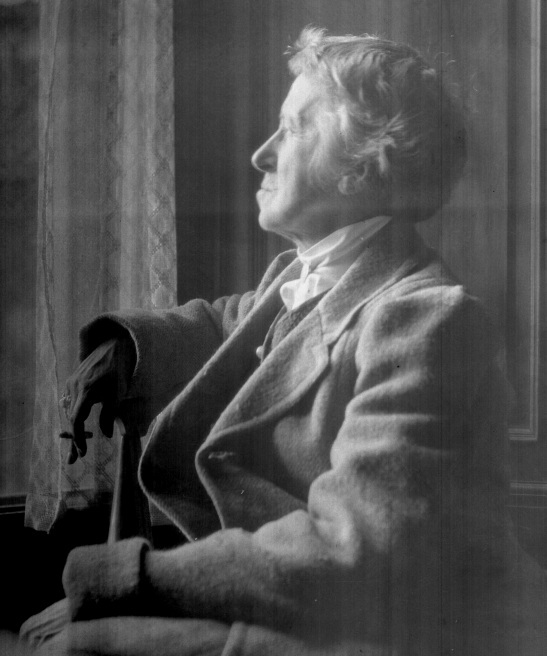 Portrait of Vernon Lee, taken by André Noufflard (undated, but likely sometime after 1924) — Source (NB: Not public domain). When the Prologue was added, so was the crucial character of Clio as interlocutor. Satan has invited her to be a kind of reporter and record the ballet performance for future generations. With Clio as a sounding board, Satan extemporizes on various theories of life, love, and war. Per the book’s title, Satan is the waster of human virtues, and he delights in spoiling the love that humans feel for each other, for art, for ideas, for all things. Lee frames the Ballet within a rhetorical framework of good vs evil, but not in a Judeo-Christian sense. War should not be understood under the traditional dichotomy of one righteous nation battling a degenerate opposing force. Rather, the evil is the impetus itself to go to war, and the good (a Platonic love for mankind, for beauty, and a decent moral life) is inherent in all the belligerents — they can resist the urge to engage in mass murder. Satan personifies evil, and he and Ballet Master Death use the players to demonstrate how easily people and nations can be misled by their virtues. The Human Passions gather to form the orchestra before the performance. Satan points them out to Clio as they arrive: Vanity, Indignation, Hatred, Self-righteousness, Idealism, Adventure, Sin, Self-interest, Suspicion, and many more. Then, the new members, Science (a gramophone) and Organization (a miniature pianola), enter. They are Lee’s most overt indictment of the waste of human virtues, in that science and organization should be used toward universal peace and progress and not toward the manufacture of weapons and organized slaughter. The orchestra members come together to perform a symphony of Patriotism, the most essential participant being Heroism, “with limbs like a giant’s, blushes like a girl’s and eyes like a merry child’s, but which saw not” as he is blind.11 Lee intends that his voice is the only one to be heard if the play is ever recited: “ . . . none of the music must be audible, except the voice and drum of Heroism. Anything beyond this would necessarily be hideous, besides drowning or interrupting the dialogue.”12 Dancers moving to silence except for the sound of a monotonous drum and the lone high pitch of Heroism is indeed a terrifyingly eerie spectacle. Lee uses music, or in this case the idea of music, as a powerful tool of imagination and implication: this symbolic driving force of war is something that is so maddening that it cannot be heard. This aesthetic experience speaks to the power that Lee believed music holds. In her critical essays and especially in Music and Its Lovers (1933), Lee explains the acute responses that music effects in a listener, ones tied to our innermost psychology. Therefore, music as a force driving nations to war is one that necessarily cannot be heard by humanity, but only Satan. If humanity were exposed to the power of this music, the result would be utter chaos. As the bleak dance progresses, the nations perform their own parts and are instructed to ignore the dissonance of the other parts. Some attempt variations of a pas de deux, but this cooperation never lasts. In all, the steps are increasingly imitative, then dissonant, improvised and then violent and aggressive, especially between the prominent protagonists in the war. The atmosphere of battle is mimicked on stage further by the addition of smoke and small explosions that the dancers must maneuver around. Lee describes the stage, as she did in earlier scenes, in terms of a painting, this time one that morphs in front of the viewer. Vernon lee with walking stick, 1914, unknown photographer but from the Vernon Lee Collection at Colby College – Source. The Epilogue, added when Lee began to expand the narrative after 1914, continues with the allegories in the play and the relationship between Satan and Clio. It opens with the conclusion of the performance and the players having fallen asleep with exhaustion. Clio congratulates Satan on the triumphant performance. He then teases her by offering to show her “the real Reality” of the Ballet of Nations — a glimpse behind the scenes, as it were. The reason he can do this after the fact is that he had everything recorded, by cinematograph and gramophone. Lee again plays on the idea of reality and how it shifts according to the knowledge at hand at any given time and place. Here only Satan can show the absolute reality of what brought about the Ballet of Nations. Lee uses the Epilogue to address what she could not in the Ballet. Using the devices of performance and mechanization (motion pictures and recording devices), she relates the causes of the war in truncated scenes that flicker across a screen. Her use of mechanization is twofold. First, she acknowledges it as a mark of human progress by way of inventions that benefit human health and understanding, but she then delves into the “mechanical” inter-workings of society. Satan uses the cinematograph to help Clio understand the “machinery” of society: each player individually contributes to bringing about a world war. In her notes to the Prologue, Lee stresses this point, that modern mechanistic living has stunted our spiritual growth while advancing the instruments of modern warfare. This is achieved through the invention of weapons and the manipulation of liberal capitalist practices that feed the greed of heads of state and industry. Then, inevitably, it is the working class man that fights the wars that capitalism produces. Lee anticipates the class warfare in Europe that follows strongly on the heels of World War I. Detail from a photograph of, and signed by, the “Big Four” of the Versailles Peace Conference, 1919. 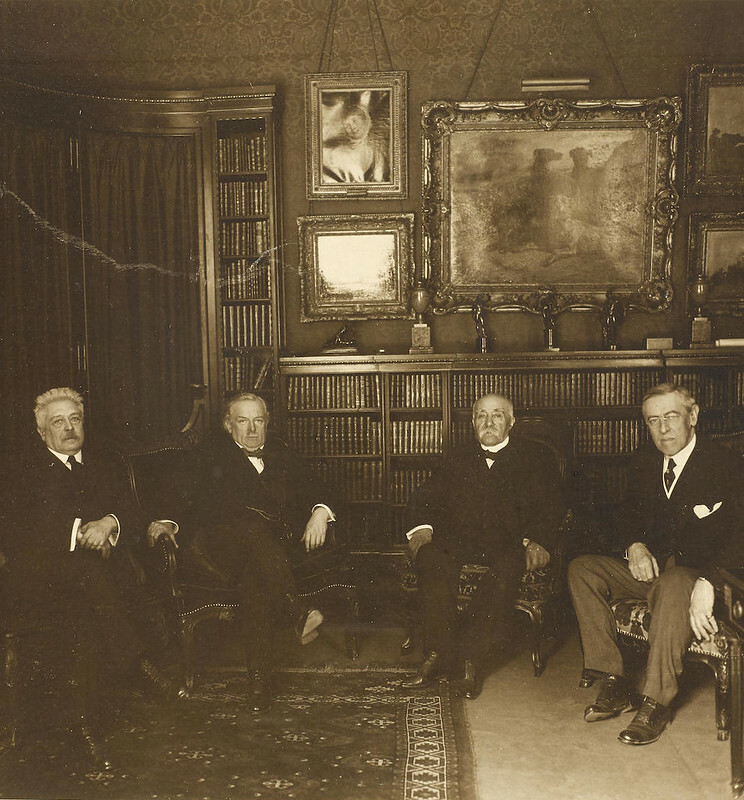 Left to right: Vittorio Orlando (Italy), David Lloyd George (UK), Georges Clemenceau (France), and Woodrow Wilson (USA) — Source. With more text than all the other components of Satan combined, the “Notes” to the Introduction, Prologue, and Ballet constitute the last, most substantial, third of the book. More than simply explanatory, the notes are philosophical musings and extended glosses which digress from the topics touched on in the main text to become essays on entirely different subjects. She writes on everything from the futility of finding one ultimate cause of the war, to the role that “Love” plays in her Ballet, to the need for England to fundamentally change its ideological and nationalistic outlook, to the role of art in deterring war. Though seemingly disparate, these essays in concert support a sustained argument: that there is an independent, ever changing, nebulous Reality working apart from our own individual realities. Lee genuinely feared for the future of Europe, and when Satan the Waster is not explaining the political origins of warfare it is encouraging readers to discover within themselves why they would accept a modern way of life that threatens their ability to actively engage with beauty. In its religious and moral dimensions, this engagement with art and beauty is illustrative of Lee’s “gardening of life” ethos she describes in many books, such as Hortus Vitae (1903). Other points addressed in Satan, however, such as the changing realities that we must come to terms with by utilizing our intellects and “protean” emotions (not religious superstition) is a point she revisits time and again in her works of the twentieth century: including Gospels of Anarchy (1908), Vital Lies (1912), and Proteus, or the Future of Intelligence (1926). Satan the Waster is perhaps her most avant-garde attempt to understand the quickly changing world around her, but definitely not the only one. Amanda Gagel is a professional editor, with a specialization in editions based on manuscript materials. She serves as an editor for the multi-volume edition, Selected Letters of Vernon Lee (1856–1935) (Vol. 1. London: Routledge Publishers, 2017) and has served as an associate editor for the Mark Twain Project and for the Papers of Frederick Law Olmsted. She is currently custom books editor at XanEdu Publishing. Dr Gagel received her PhD from the Editorial Institute at Boston University. Find her on Twitter @mandygagel. 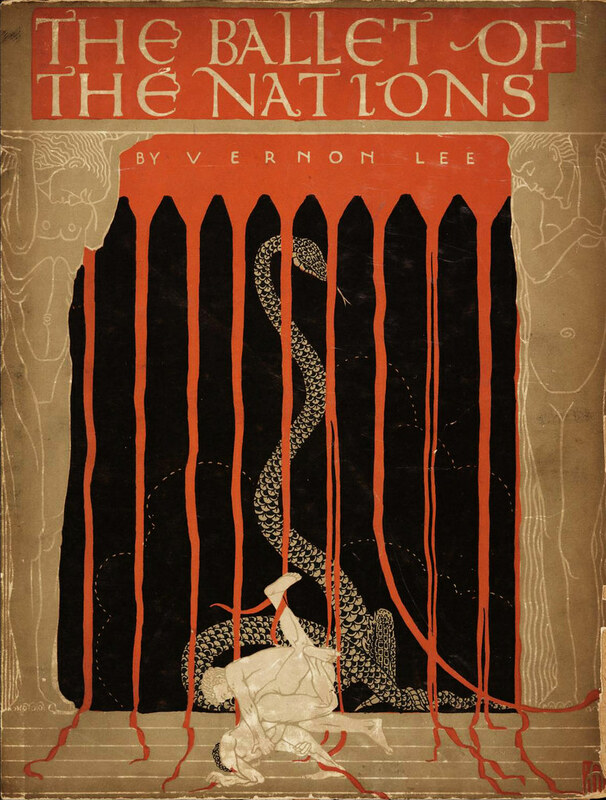 The Ballet of the Nations: A Present-Day Morality (1915), by Vernon Lee. Satan The Waster: A Philosophic War Trilogy with Notes and Introduction (1920), by Vernon Lee. “The Heart of a Neutral”, by Vernon Lee in Atlantic Monthly, November 1915. Peace with Honour: Controversial Notes on the Settlement (1920), by Vernon Lee. 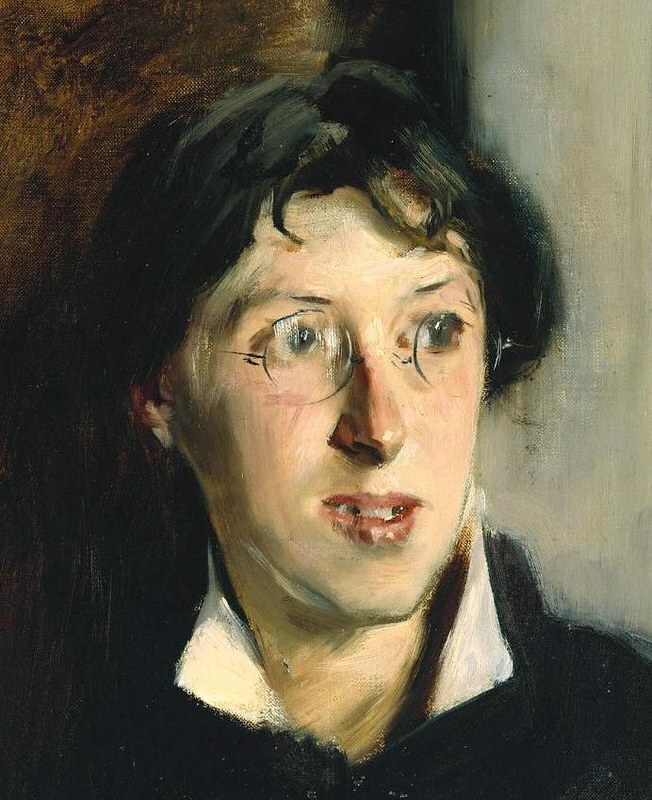 Recovering Lee’s crowded and intellectually eventful life from her previously unpublished letters and journals, as well as from her books themselves, Vineta Colby also explores Lee’s troubled personal life, from her childhood in an eccentric expatriate family to her several unhappy love affairs with women to her frank recognition that her work, brilliant as some of it was, remained unappreciated. This multi-volume scholarly edition presents a comprehensive selection of Lee’s English, French, Italian, and German correspondence — compiled from more than 30 archives worldwide — that reflect her wide variety of interests and occupations as a Woman of Letters and contributor to scholarship and political activism. This, the first collection of essays on the aesthete and intellectual Vernon Lee, offers a wide range of critical writings by scholars. Key works are examined including Euphorion, Hauntings: Fantastic Stories and Music and Its Lovers . New light is shed on Lee’s relationships with contemporaries such as Lee-Hamilton, Pater and Wilde.